Packaged in cardboard, wrapped in bubblewrap, and labeled by number, 280 packages of glass plate negatives have occupied a significant amount of shelf space in the stacks of the Catherine Pelton Durrell ’25 Archives and Special Collections Library as long as anyone currently working there can remember. And in fact, most of the images are new to the collection. The first 100 packages have recently returned from the Northeast Document Conservation Center (NEDCC) and the 870 images they contained are now viewable online in the Vassar College Digital Library. The contents of mysterious packages. Revealed. The plates processed thus far date between 1904 and 1935, and most were taken by E.L. Wolven, a Poughkeepsie photographer who was apparently hired by the college to record official college events such a Class Day, Founder’s Day, and Field Day. Some are actually images of images. Perhaps an alumna donated her photographs to the college, and Wolven then affixed them to a wall and made glass plate negatives of the prints. An example of this is the first image in the slide show of a woman filling up her steam-powered automobile from a fountain on Raymond Avenue. Funded by a generous gift from the class of 1950, phase two of the conservation project is now underway. 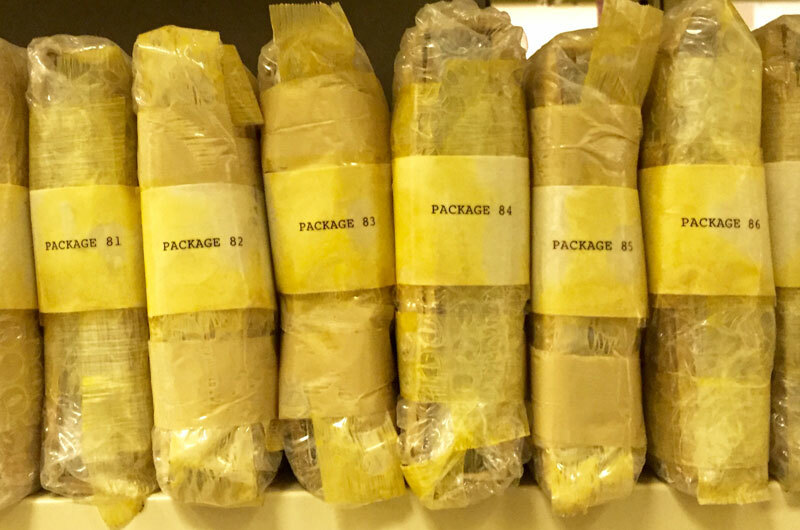 Packages 101-198, dates ranging from 1900 to 1956, are now at NEDCC and are expected to yield an additional 700 images some time this fall. Phase three, pending funding, includes packages 199-280, approximately 1,950 images from 1913 to 1961. That’s a grand total of 3,520 images—a veritable treasure trove for aficionados of Vassar history. Enjoy!